There is no place like home: Welcome September! First pumpkin of the season. 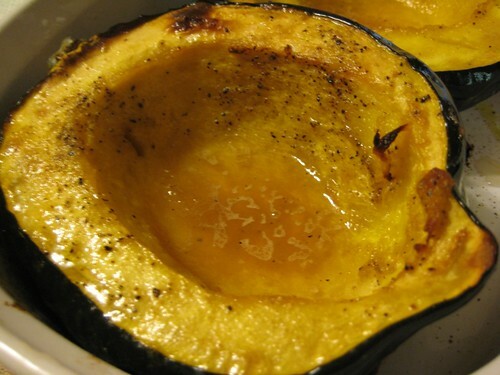 Acorn squash baked with maple syrup. To wall it all about. Down to the school-yard gate. I am so excited it's almost fall! 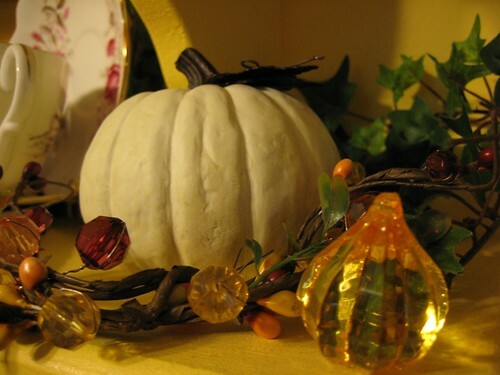 I haven't started pulling out my fall decor yet, but hope to get to it this weekend. I love fall festivals, cool nights sitting by the fire pit, heading over to the apple orchard, the smell of wood fires, what's not to like about fall! I adore september, for me it's the real beginning of the year! Plus it's my birthday month! It seems like I haven't visited in so long. I so welcome September. I think most everyone loves fall. I am looking forward to decorating my house with gorgeous leaves in fall colors. I am also looking forward to wonderful soups and stews and, of course, baking!!! I love everything about Autumn!!! 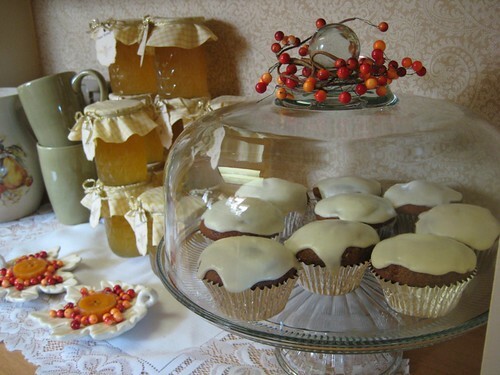 I am looking forward to the apples--pies, preserves, apple cider, apple butters--I love it all! Hi Kelli, I did enjoy looking at the pictures you shared from the past. Fall is my favorite season too. I am looking forward to the colors of fall. We will take a drive to the local wildlife refuge and see so many colors, birds, etc. Wish you and your family were here to go with us. I am also looking forward to all of your posts the next few months. You do such a good job of celebrating the season. Thanks for sharing. 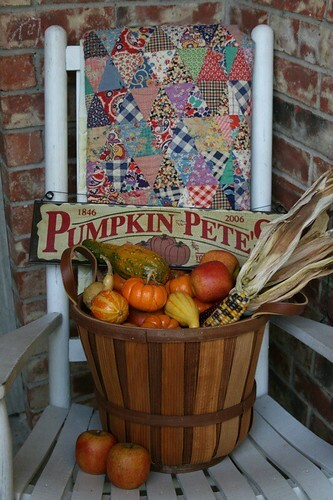 Great pictures to put us in the mood for fall decorating, Kelli:) Always lovely! I'm looking forward to exactly what you mentioned. I think it's time I start busting out my own fall decor! Woo hoo! Okay, I am now inspired to go out to the garage for my fall decorations. Even though I think something small and with fur is hiding in there (the perils of living in the country). Kelli you know I love everything Fall....cant wait! 20 days!! I always enjoy seeing how you decorate your home for the seasons. I look forward to new pictures from this year. We had our first brush of cool weather this week, and I am luxuriating in it. Just perfect -- relief from the heat but not cold yet. Lovely images -- those cupcakes look especially inviting. like you I love the month of september, it's the month my children are born, it's month they go back to school and in our little town in the french alps the month who's quiet and we waiting about the first snow. What beautiful pictures you have of your falls. Beautiful! I love the recipes. Your post is so beautiful that you amost have me convinced that I should let summer go! It's just that summer took so long getting here this year and brrrrr -I'm not looking forward to winter! Loved looking at your pictures ..you always inspire me with your pictures and recipes. I enjoy your blog so much ,..especially love the Show N Tell Fridays ! Thanks for sharing..Happy Fall to you!!! Love the decorations. I am getting excited about putting my "stuff" out. It has felt like Fall here this week. The weather has been absolutely beautiful. Fall colors, smells, and baking most of all. And of course, the weather. I love FALL!! Hi Kelli~ ~ ~I guess fall is on the way, (sigh) I really will miss summer. Love the warm weather. I enjoyed your post and I'll visit again soon. It's nice to meet you. I actually used to dread September because it meant having to send the children back to school. Now that we've been homeschooling I look forward to fresh starts, new books, cooler days, and the colours of late summer. Pure blues, deep gold, purple, tinges of red and yellow, and of course orange starting to crop up here there and everywhere. I am looking forward to having all the garden in, the sound of children playing in the fallen leaves, and the lovely smells of baking in the air. Even though I'm in Texas too, the weather is getting nicer and nicer. Am I too early to put up my fall decor stuff? Yikes! I'm so nervous! Don't know what to do! Beautiful decorations! I am so in love with this coming season and can't wait to get my decorations out of he closet. Things are looking good at your house! I'm looking forward to cooler weather and fall colors. I am so excited about Fall that I am already starting to decorate. I LOVE IT. My favorite time of the year. Right now I am "fall cleaning" and then the serious decorating begins. I can't wait for stews, apple pies, chilli, chicken pot pie....yummy! I love all your decorations! And the pumpkin cupcakes...I love pumpkin. 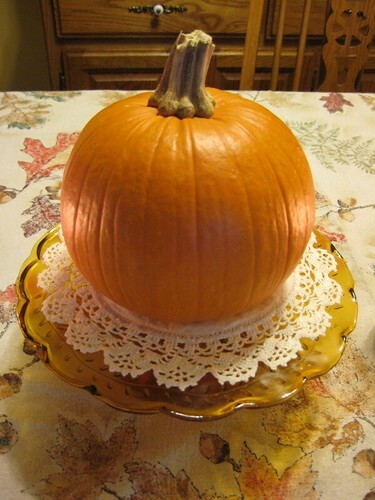 I'm looking forward to that...pumpkin pie! Yum!! 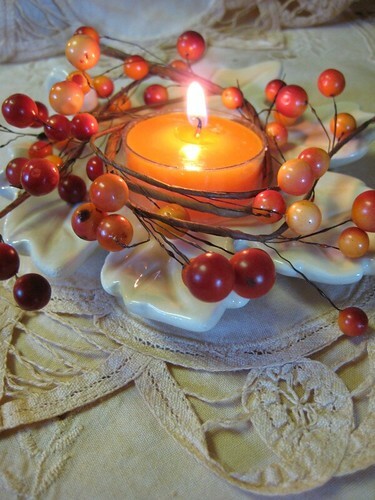 Also cooler weather, wearing a sweater, leaves changing color, apples and homemade applesauce, burning fall candles....fall is one my favorite seasons!! Your fall colors are so pretty. Kelli you always do wonders with everything you do. Take care. I LOVE fall. My favorite time of the year. 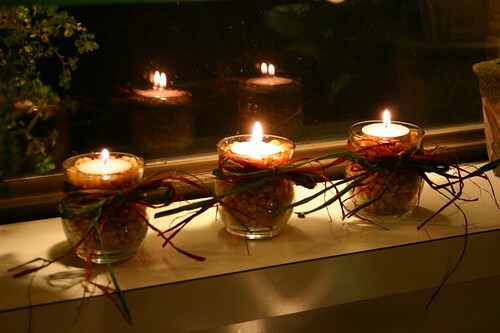 I have already started burning my apple candle and put my wreath and tablecloth on. I just couldn't help myself. I love the bix boxes of pumpkins at the grocery and walking up and down the isles at the store looking at all the orange goodies. What a beautiful time of year. Even here in Texas...lol. I just close all the blinds, light a candle and pretend its cool. No doubt one of my favorite things to look forward to is making the caramel apple recipe from the Seasonal Delights magazine you published a couple years ago. They are always a BIG hit around here. 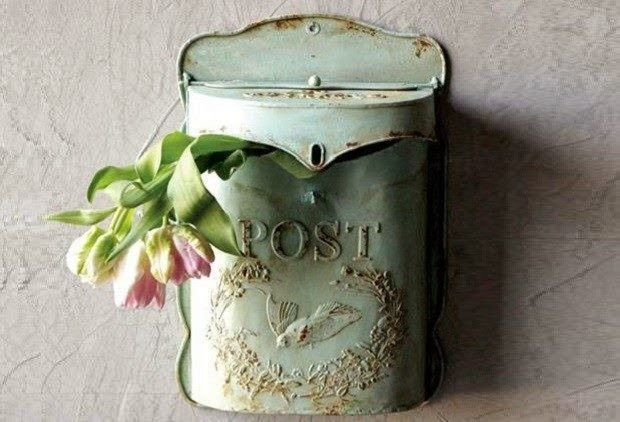 Just a beautiful month..September..and a beautiful post to go with it! I found your site and It is really a warm and lovely place to visit. Glad I stopped by. Love this beautiful autumn post. Mmmmm...I can almost smell that delicious maple-y baked squash!! Everything is so pretty, Kelli! I'm sure you must have one of the loveliest homes in our country!! So warm and welcoming!!! Baking Pantry - Show and Tell Friday!